Back in 1997, Jackie Victor and Ann Perrault opened Avalon bakery on a gritty stretch of West Willis in the Cass Corridor. 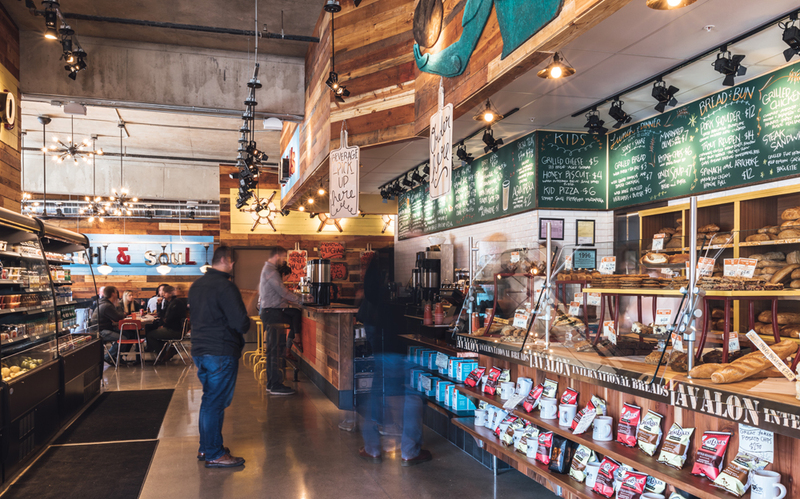 The community-minded business adopted a “triple-bottom-line” model focused on “earth, community, and employees.” They did their own recycling, used organic flour, and started purchasing locally grown foods whenever possible. Avalon’s family-friendly atmosphere was also fun. 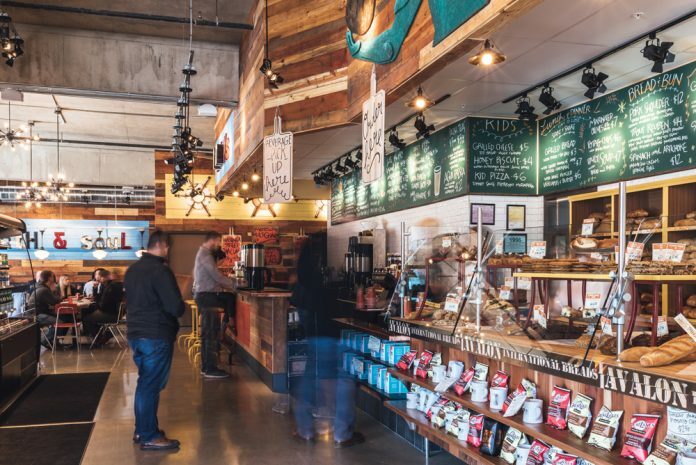 We’d take our kids there for a Saturday treat, plus a “rocket ship” bread (baguettes), scallion dill, or — if they hadn’t run out already — a loaf of their Greektown olive to take home. The so-called “early adopters” at Avalon persevered, and the place began to thrive, helping spur the neighborhood’s transition to become Midtown. Today, Avalon bakery’s mini-empire includes the original Willis location, plus a “bake house” on Detroit’s east side, a spot in Detroit Metro Airport’s McNamara Terminal, a café and “biscuit bar” in New Center, and cafés in Ann Arbor and on Woodward Ave. in Detroit. The Woodward location has the most extensive menu, listed on large chalkboards. After you place your order, take a number and find a table or a spot among the stools along a coffee bar or on the Woodward window side. Their “Eat well. Do good.” motto pervades the place, from the bright décor to the disposition of the employees delivering your order. 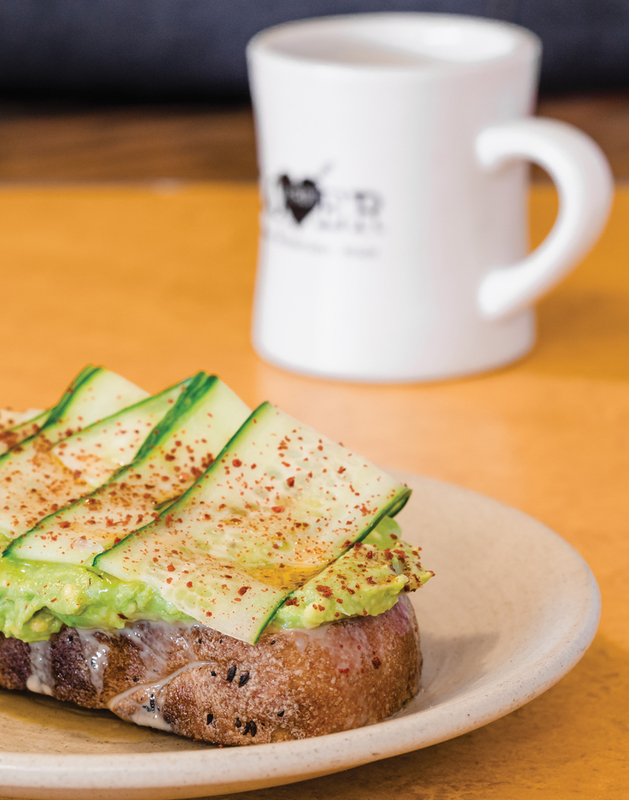 While you could live by bread alone, it’s the basis for many dishes, including an amazing Avocado Toast layered with tahini, smashed avocado, thinly curled cucumbers, lime, and chili flakes. The bread also shows up on a platter with plenty of butter next to a bowl of the soup of the day. During a visit on one of the season’s first snowy afternoons, the soup was a hearty chili with large hunks of tomatoes and red kidney beans. I’m not usually a huge fan of ground turkey, but the flavoring here was excellent. It wasn’t overly spicy, but that was fixed by adding some Michigan-sourced Papa Turts smoked hot sauce. There are a half-dozen sandwiches. Vegetarian fare includes spinach and artichoke with Parmesan cream and a frittata oozing with goat cheese. Meatier highlights include pork shoulder, flat-iron steak, or a trout Reuben. There’s also a handful of thin-crust pizzas from a meat-filled deluxe to a simple margherita with fresh mozzarella and basil. Salads are sized to be main dishes. One of the most popular is a Brassicus Bowl with roasted broccolini, brussels sprouts, kale, avocado, a hard-boiled farm egg, and sunflower and sesame seeds. Meat eaters can add chicken to the bowl, or opt for the grilled flatiron steak and spinach salad or the Green Goddess Cobb with bacon and grilled chicken breast. The place is also a pleasant hangout, since beer and wine are part of the package (for there or to go). 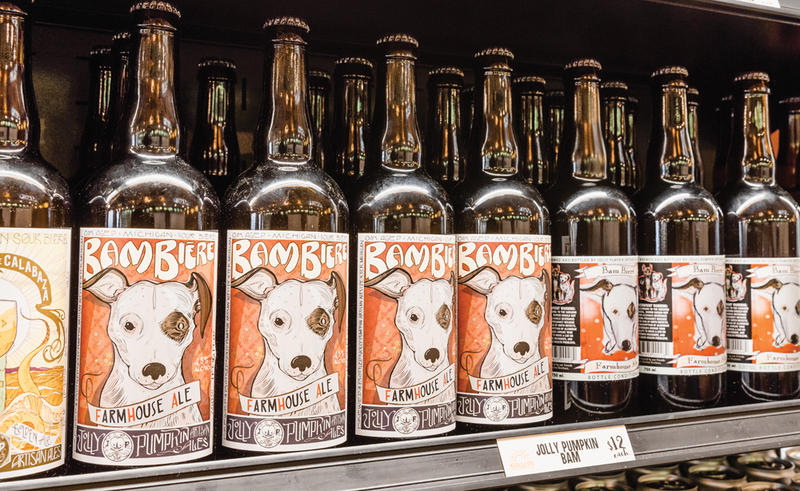 Avalon has teamed up with Northern United Brewing Co. to offer North Peak and Jolly Pumpkin beers on draft or in bottles. The drafts include an interesting collaboration: a red ale brewed with ancient grains and Avalon bread. After-meal treats include the especially good sea salt chocolate chip cookies. And you can always take a loaf of Greektown olive bread home. If they haven’t run out, of course. 1049 Woodward Ave., Detroit; 313-285-8006; B, L, & D daily.